It’s hard letting your disabled child fly the nest and gain their own independence or leaving your elderly parent as their independence fades. You want them to be independent, but you can’t help worrying about if they can or are coping. 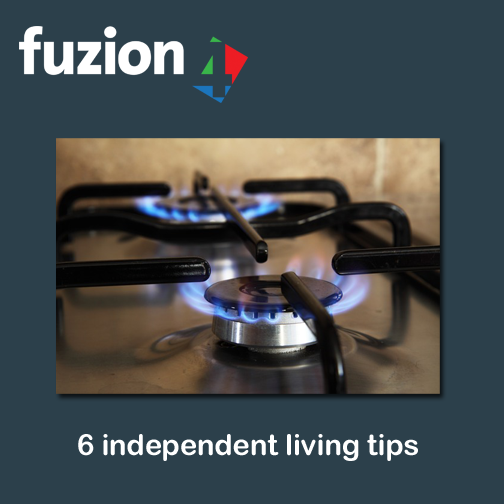 Here are 6 tips that can help your disabled child or elderly relative, live in a safer home to ease yours and their mind. 1. Smoke and Gas Detectors – This will alert them if they forget about their dinner in the oven or they turn on the gas ring but forget to ignite it. Some Detectors are able to send alerts to your phone, so you can call them to check to see if everything is ok.
2. Flood detection – Home appliances like the washing machine are likely to fail eventually and pipes can start to leak causing some flooding. They may not notice the leak until serious damage has been done or maybe out when it occurs. Having a detector placed near water pipes and washing machines that can alert you through your mobile if a flood is detected can help reduce the amount of damage that would otherwise have been done. 3. Get friendly with the neighbours – You may not have time to visit your child or elderly relative, so making friends with the neighbours could benefit you. They can check on them when you can’t. Also, if a problem arises and you are at work, you can ask the neighbour if they can help out. 4. Home care – You can employ a care company that will go into their home once or twice a day to help them with housework or cooking meals if required. The downside to this is that Home care can be very expensive. 5. Teaching your child about how to live independently – Living on your own is going to be scary no matter who you are as you don’t know what you may have to encounter. Making sure that your child is ready for as many situations as possible will make you feel more at ease. Things that you can teach them could include cooking, cleaning, washing their clothes, dealing with people at the door, paying bills (only if they are capable) and more. 6. A panic button linked to an alarm system, which they can wear, would enable them to alert you or an agency to take appropriate action. Now that you have prepared your child for independent living, the only thing left to do is buy some tissues for the big moving day. What can you tell me about this locksmiths device? http://chattanooga-locksmith.com/ Is it reliable or not? I need to know your exact answer! Please give me exact answer now! I think this is very interesting locksmiths article here: http://locksmith-pittsburgh-pa.com/ After read it I hope you will understand the main principles in locksmiths industry. Then you are going to find more interesting tips that you wonder. If it's okey for you, I ask you to leave your email below my comment. Don't make me wrong, I just want to contact you for business.